Well, today is the day I have been looking forward to all year… the first full day of my annual late summer vacation in Wellfleet, a charming seaside community near the tip of Cape Cod, MA. I have raved about this charming town many times over the years and I look forward to sharing my finds from this year’s visit as well. The first stop today was a visit to the Flea Market at the Wellfleet Drive-In. A visit to the flea market has become a ritual on the first day of vacation and on the way out of town on the end of the vacation. 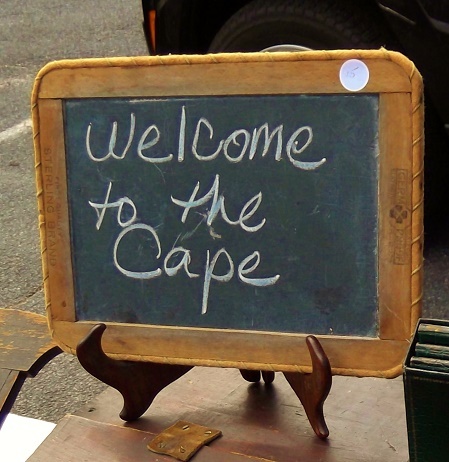 The Wellfleet Flea Market continues weekends through Columbus Day at the Wellfleet Drive-In Theatre – 51 State Highway (Route 6) in the great town of Wellfleet, MA. Lost Cowboy is powered by	WordPress 5.0.4 and delivered to you in 0.878 seconds using 40 queries.